Photographs and review of the Skye Museum of Island Life that preserves the crofters way of life on the Isle of Skye. 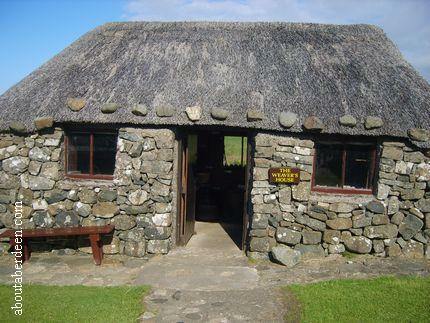 Skye Museum of Island Life is a wee gem on the Northern tip of the Isle of Skye just off the A87 on the A855 at the Kilmuir area. There is plenty of free parking outside and public toilets. The shop sells a range of gifts and some cold drinks, sweets and ice cream. There is no cafe but there are some picnic tables and some great views. Entrance to the Skye Museum of Island Life are through some unmanned gates and entry tickets can be purchased in one of the crofts which is clearly sign posted. 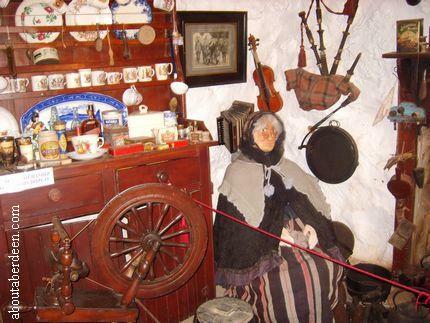 The Skye Museum of Island Life provides great value with admission for adults only �2-50 with a guide book with some lovely photos of the crofts and packed full of information about the various aspects of old island life for just �1-25. 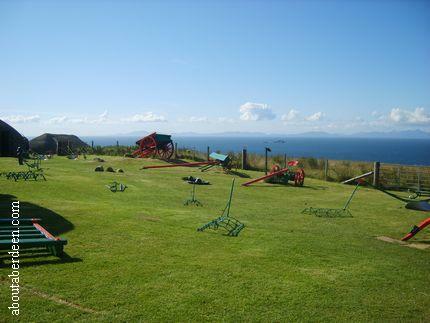 OAPs can enter Skye Museum of Island Life for just �2 with children just 50 pence.  There are discounts for groups. The Skye Museum of Island Life opening times are from Spring to Autumn months of Easter to October, Monday to Saturday from 0930am to 5pm. 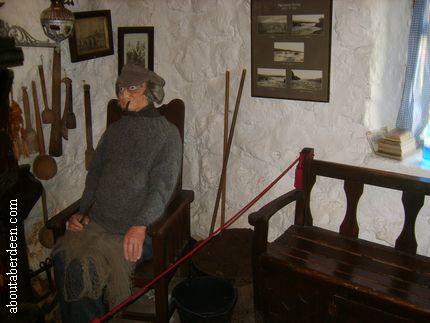 The tour around the Skye Museum of Island Life is done by oneself by going in and out of each themed croft. Inside are various exhibitions and displays with information about each aspect of the islander life. So for example the first croft that aboutaberdeen entered was the Old Smithy in the photo below. 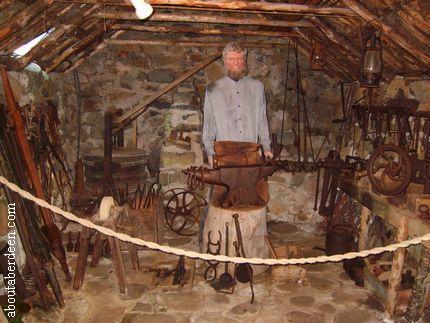 Here old blacksmith tools are on display and there is a model of a blacksmith at work at his anvil. Farriery items are on display in the Old Smithy and applying horse shoes would have been the bread and butter of the blacksmith. 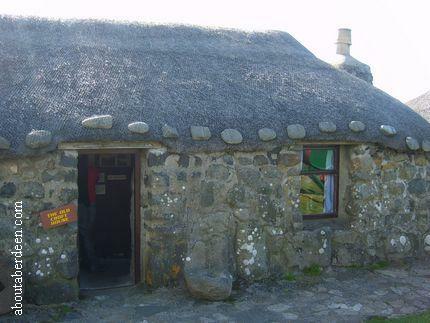 The first thatched roof cottage to be opened to the general public was the dwelling house in 1965 which is an example of a mid 19th century home on the Isle of Skye. These thatched roof cottages were designed to give basis comfort and warmth in the harsh climates with strong winter winds. 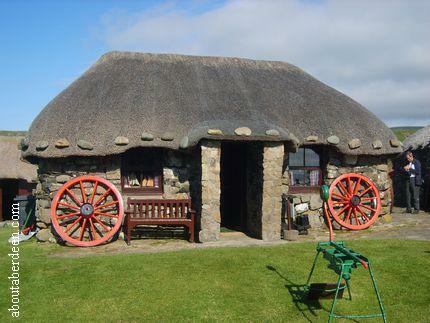 The crofting houses were built using local materials so that they could be constructed quickly and cheaply. So local stones were used for the walls and it was the custom that locals would take time from their farming chores to help one another built the crofts. Driftwood on nearby shores would be used for the roof timber and much came from shipwrecks that floundered before the construction of lighthouses. The roofs were generally made with branches and turf to form a thatch with local reeds. 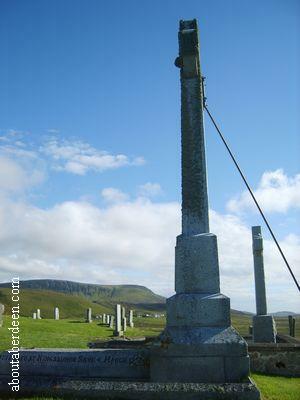 Each Highland croft house was located near to a well so that a ready source of drinking water was available. Heating and cooking would have been provided by a peat fire. This first thatched roof cottage is still open to the public and is now called the Croft House. This Croft House is similar to what some Scottish people might call a But n' Ben and looks something similar to Maggies Hoosie in Aberdeenshire. It consists of a basic kitchen and living area which holds a bed as well as fireplace and chairs. The main room of the Croft House would have been the kitchen where the family cooked, ate and spent what few leisure hours they had. The open hearth would have been used for cooking as well as a source of heat with peat being the fuel. Furniture would have been basic and decoration such as ornaments sparse, though there would usually have been a bible on the mantelpiece with one or two family pictures. Entertainment would have been mostly musical with the crofter's playing an assortment of instruments such as the bagpipes or the fiddle. Lighting would have been provided by a lamp using fish liver oil as fuel. Children would usually have slept in the kitchen whilst parents slept in the other room, typically called, ben the hoose. This bedroom would have had a box bed which to modern visitors looks small but would have been relatively comfortable to the crofters who were smaller in stature. 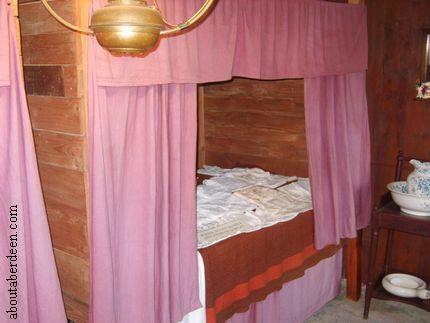 The mattress would have been filled with straw and some of the box beds had a curtain to provide additional privacy. The bedroom would have also been little decorated with the walls whitewashed. 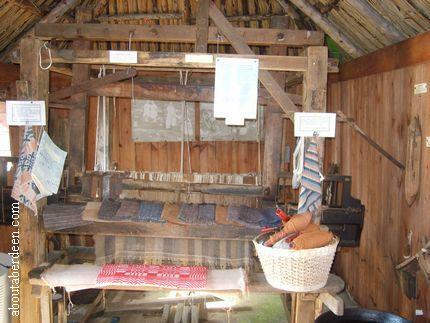 The Weaver's House contains an old fashioned handloom, distaff, dyepots and spinning wheel. The weaver would have been as busy as the blacksmith by making garments and bedding for the crofters. Tweed was commonly used. The Ceilidh House was used much like a village hall where local crofters would meet and have a sing a long and ceilidh night. Stories were told and gossip exchanged. A large peat fire would have heated the Ceilidh House. It now forms a museum of crofting life in the Isle of Skye. There are some historical photographs of village life including pictures of public transport throughout the decades and collections of coins, stamps and banknotes throughout the years. There are also images of various croft buildings. Other croft buildings at the Skye Museum of Island Life include the barn with examples of agricultural and sheep rearing tools and implements. 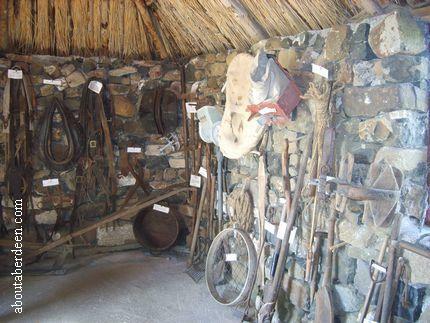 Outside there are examples of larger farming tools. A short walk up the hill is the graveyard which contains the grave of Flora McDonald who helped Bonnie Prince Charlie escape the Hanoverian Government troops after the battle of Culloden. 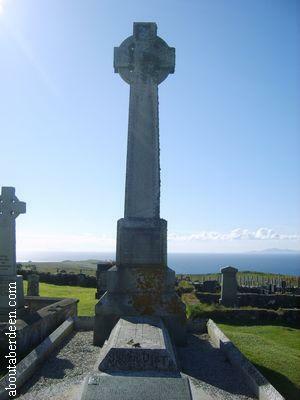 Flora McDonald died at nearby Kingsburgh in 1790 aged 68 years. There is room for two cars to park for disabled visitors to pay their respects at the graveyard in Kilmuir.